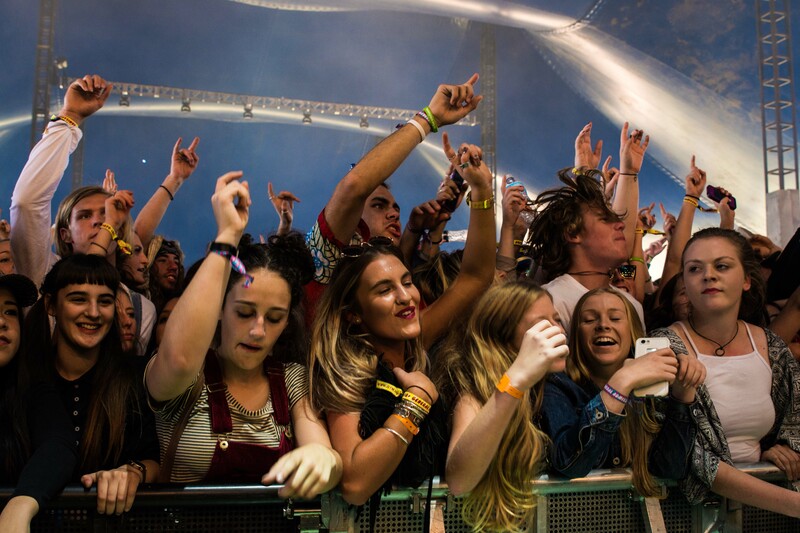 On the third leg of the tour, Groovin’ The Moo sprung into action at the Prince Of Wales Showground in Bendigo. The weather looked ominous at the start but fortunately, the clouds cleared for a beautiful warm sunny day that was ripe for good music vibes all day long. 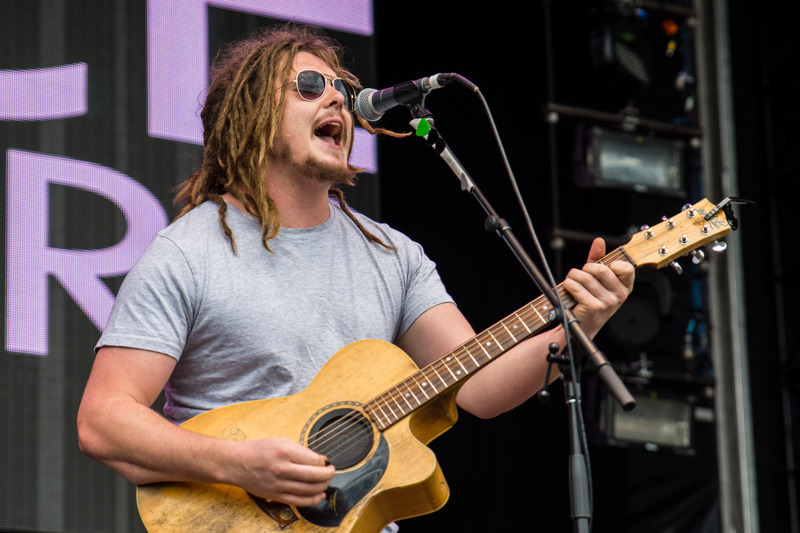 The Pierce Brothers opened the festival and despite being an early start, an impressive crowd of keen punters who had lined up eagerly for the gates to open. Young Melbourne musician Darren Harts aka Harts took to the stage next and he did it with the ease and confidence of that of an old school rock & roll star. He ripped up the stage with his captivating Jimi Hendrix-like guitar riffs and dance moves, as well as playing some sweet tunes on the keyboard. To say he was born in the wrong era is probably an understatement, playing good old rock & roll music belonging to the 70’s. Having only released his stunning debut album Daydreamer last year, this talented guitarist and musician is someone to keep on your radar. Continuing the rock & roll theme, The Delta Riggs played next on the Moolin Rouge Stage, welcomed by screaming girls of the first few front rows. While the performance was cohesive and entertaining, it was frontman Elliot Hammond who had the front rows of girls screaming with excitement with sweet microphone swinging moves and swagger attitude that matched Mick Jagger’s. 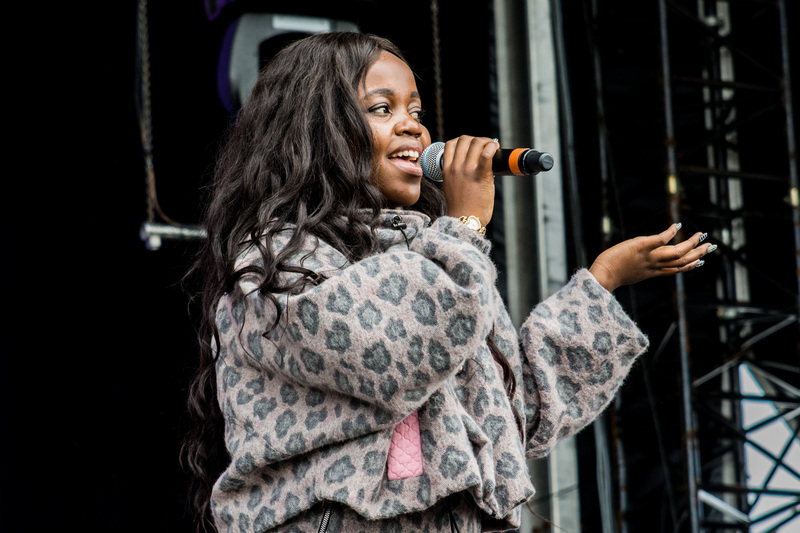 Adelaide rapper Tkay Maizda intended to get the crowd into an instant frenzy with her super catchy tune “Brontosaurus” but sadly, microphone issues saw her need to restart the song, but it didn’t appear to faze her. Despite being young and inexperienced, by industry standards, it was impressive the way she quickly overcame the inconvenient issue and took control of the stage and the crowd. She rapped at a speed that caused the envy of us all, all the while dancing around the stage. It’s exciting to see such a young artist have so much talent and yet still have so much more potential to be uncovered that could see her being compared to other great rap artists such as M.I.A in the future. 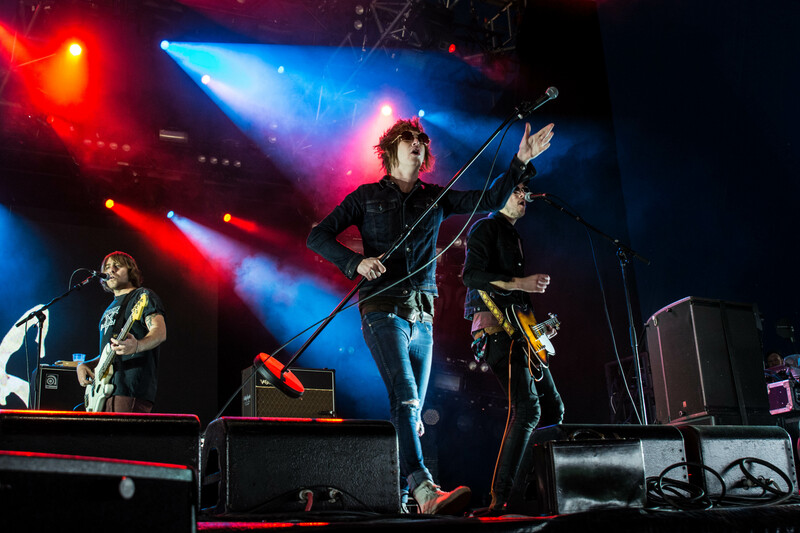 The first international artist to take the stage was UK’s rock Peace, whose old-fashioned rock went down like a treat. Meg Mac followed with a powerful set, but it lacked anything magical. I found myself at my first fork in the road for the day, having to choose between Sticky Fingers and Saskwatch. Deciding to leave the drunk bloke-dominated crowd, I decided to go for the relaxed and chilled out vibes of Saskwatch and I wasn’t disappointed. Although the whole band wasn’t present, the group performed with a punch and Nkechi Anela‘s vocals were soulful and beautiful. 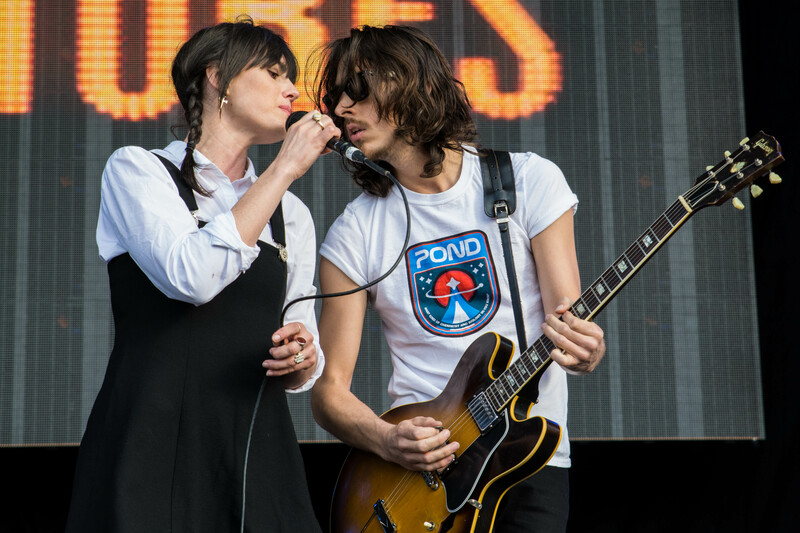 I made my way back to the main stage to see The Preatures who are festival veterans by now. Isabella Manfredi had balls of energy, however the rest of the band lacked the energy I have seen in their other performances. 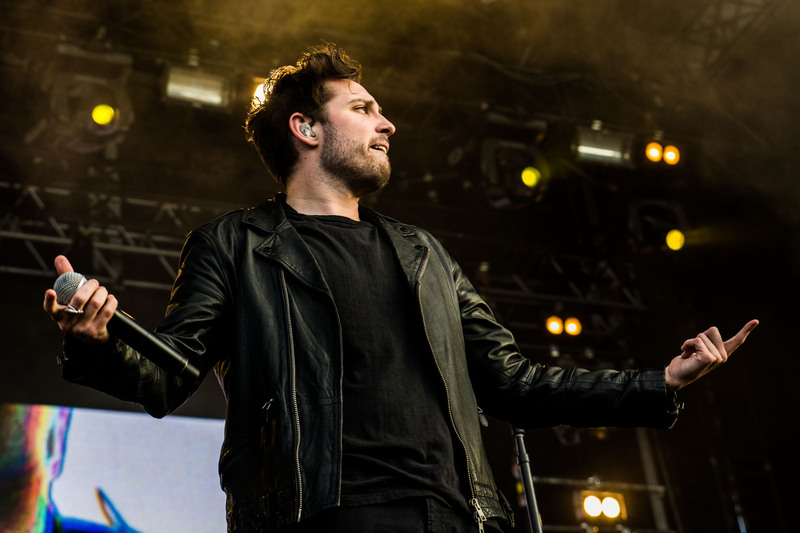 The second UK band to take to the stage was You Me At Six, who I would have to say was one of my highlights of the day. I hadn’t heard their music before, but when a good friend of mine compared them to Dead Letter Circus and Birds Of Tokyo, I knew I had to check them out. They captured my ears from the first song and I found myself sitting on the grass taking in each song one at a time. I took a moment to observe the joys a music festival brings to thousands of people. Some people danced, some people stood and swayed and some people sat back and enjoyed the tunes with a big smile on their faces. Some people were drinking beer and some people had arms around each other, simply enjoying the setting sun, friends and good music. This was what music festivals are all about. After the set finished, I snapped out of my deep and meaningful state and filled my tummy with well-overpriced food before heading back to the main stage to see Ball Park Music, who played to the setting sun. Next, I saw Peaches and was quite perplexed by what I experienced. 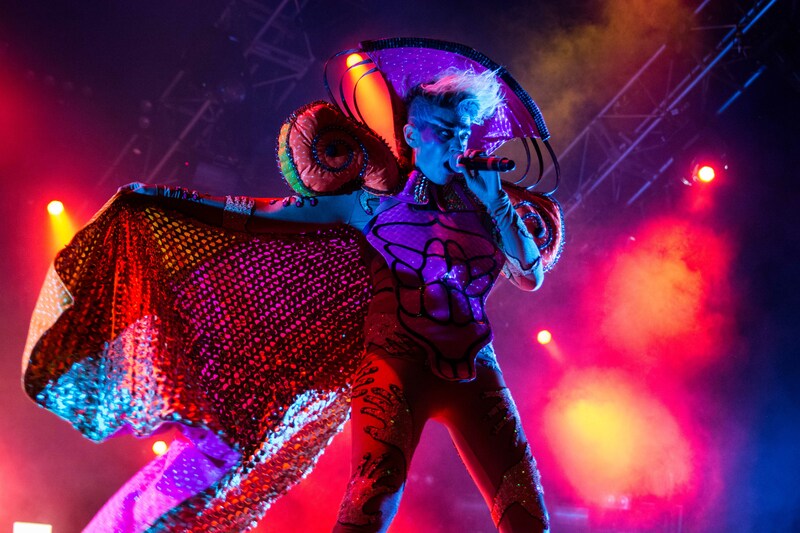 She came onto stage with a wonderful bright costume and was shortly joined by two dancers who together with Peaches performed some strange sexually-explicit dance moves. It was weird. It was wonderful, but mostly it was weird. Maybe had I been expecting it, I would have got it or at least appreciated it more, but it was a real shock to the system. Charlotte Aitchison aka Charlie XCX was the other highlight of the day, with the UK singer songwriter taking the stage by storm with so much colour and energy that invigorated the crowd into a dancing frenzy. During the second song, Charlotte brought out a blow up guitar which brought a level of amusement, before setting it back down and belting out song after song, that I had no idea was hers. The whole set was a case of me going, ‘I know that song…and that song..and that song’. As the night was slowly drawing closer to the end and the crowd got drunker, the blokes replaced the girls on the barrier following Charli XCX, in anticipation for the last two acts of the evening Wolfmother and Hilltop Hoods. Both groups played entertaining and fun sets featuring many of the crowd favourites, but I found myself feeling a little disappointed by the end of the night. While both acts had energy, I was expecting the night to end with a bang of energy and party vibes from both acts considering they were finishing the festival off, but it just felt like just another act finishing their time allocated slot. It’s a shame because I felt the earlier acts of the evening, such as Charli XCX, would have been a perfect way to end the night on the main stages, before heading into the Moolin Rouge tent for the final act of the evening, Flight Facilities. Tags: aussiemusic, australianmusic, Groovin The Moo, hilltop hoods, livemusic, Music, musicfestival, Wolfmother, You Me At Six. Bookmark the permalink.